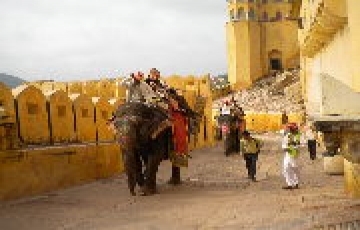 Upon arrival at Jodhpur Airport/Railway Station meet our representative and transfer to Hotel . 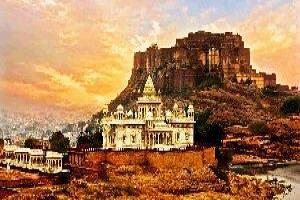 Soon after check in we climb up the Majestic Mehrangarh Fort and explore its every nook & corner. 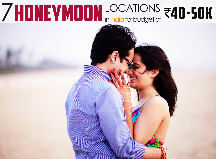 We also visit the JaswantThada, maidBhawan Palace Museum, Clock Tower and Markets. Overnight at Jodhpur. 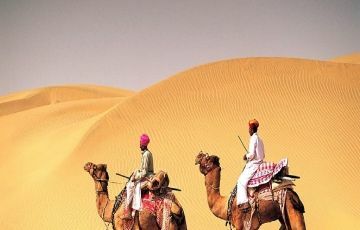 After check out from hotel and transfer to Jaisalmer, travel through the ancient trading town of Osiyan for its beautifully sculpted temples and the haven for migratory birds- Kheechan village. Upon arrival check in at hotel. 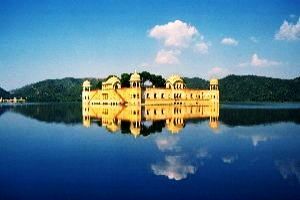 In evening we visit Gadisar Lake & Vyas Chhatri. Overnight at Hotel. After check out from hotel and transfer to Bikaner. We reach Bikaner by afternoon at check in at hotel. 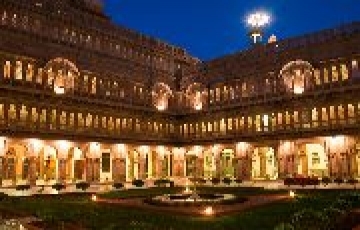 Afterwards we visit Fort, Palaces, Museums and temples of Bikaner. By the evening we take trip to the prestigious camel breeding farm. Overnight at Bikaner. After check out from hotel and transfer to Pushkar. 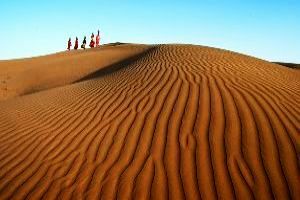 Leave Bikaner for Ajmer & Pushkar, both the places are major religious center for Muslim and Hindu Pilgrims respectively. We visit famous Dargah of KhwajaMuin-ud-din Chishti, Adhai Din KaJhonpra, AnnaSagar Lake at Ajmer. Later we proceed to Pushkar, upon arrival check in at hotel. In the evening we explore the spiritual facets of this relaxed holy town Pushkar on foot. Overnight at Pushkar. After check out from hotel transfer to Jaipur. Check in upon arrival. 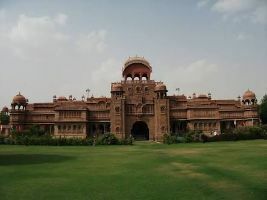 By the evening we visit the modern attractions of the city which includes the Birla Auditorium, New VidhanSabha, Birla Mandir and Jawahar Kala Kendra. Later we experience the Rajasthani dinner, folk music and dance with complete rural atmosphere in an ethnic village. 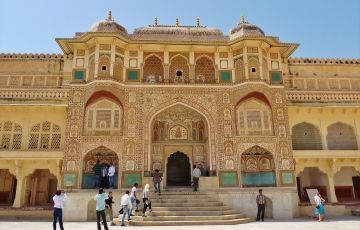 We spend the day visiting the bazaars and the monuments in the Pinkcity and after lunch at the Amber Fort. We keep our evening engaged with stunning view of the Pinkcity & breathtaking sunset from the hills of Nahargarh Fort and then sound & light show at Amber Fort. Overnight at Jaipur. After breakfast check out from hotel. At the time of onwards/return journey, you will be transferred at Jaipur Airport or Railway Station. The Tour Ends. » Other Terms & Conditions, if any(optional): Hotel rooms are subject to availability, else we provide similar accommodation. · Child / Extra adult sharing with double bed. Extra meal cost will pay by the guest for free of cost occupancy. 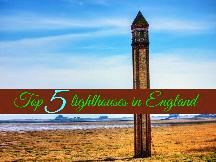 · An additional mattress or a rollaway bed will be provided for the third person sharing the room. It may y as per hotels. · 100% payments must be made to SUNBIRD JOURNEY…. before 15 days of Travel date.